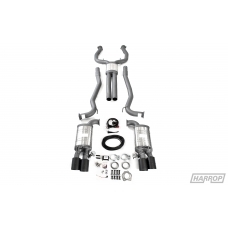 The Harrop Series exhaust is the perfect way to make your Commodore sound as good as it looks. 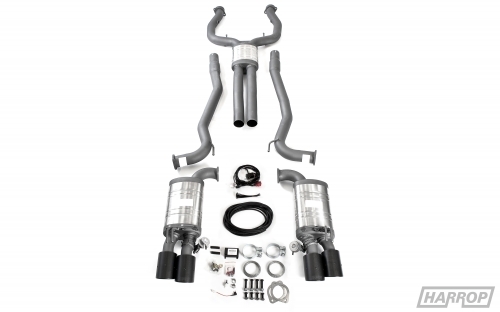 The Bi-Modal option enables you to retain the aggressive exhaust note when you want it, while reducing exhaust drone during everyday driving conditions. 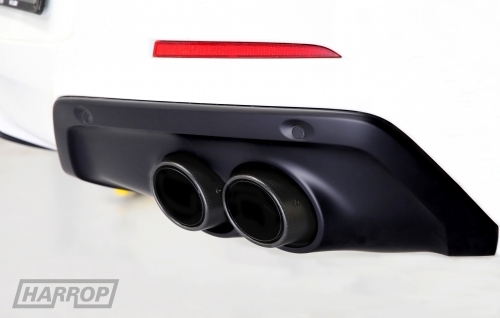 Carbon Series exhaust tips are not suitable or supplied for HSV Gen-F vehicles due to rear fascia proximity. Integrates and utilises factory HSV Bi-Modal components for complete factory EDI functionality. Specific to Sedan and does not fit Maloo or Grange long wheelbase variants. Exhaust inlet diameter is 2.5" or 63.5 mm.